Fancy winning £1000 day? Here’s how! I know what you’re thinking, too good to be true right? Wrong. Whether you’re a university student, a 9-5er, a stay at home parent, or just a man with a dream.. everyone would love to win £1000. 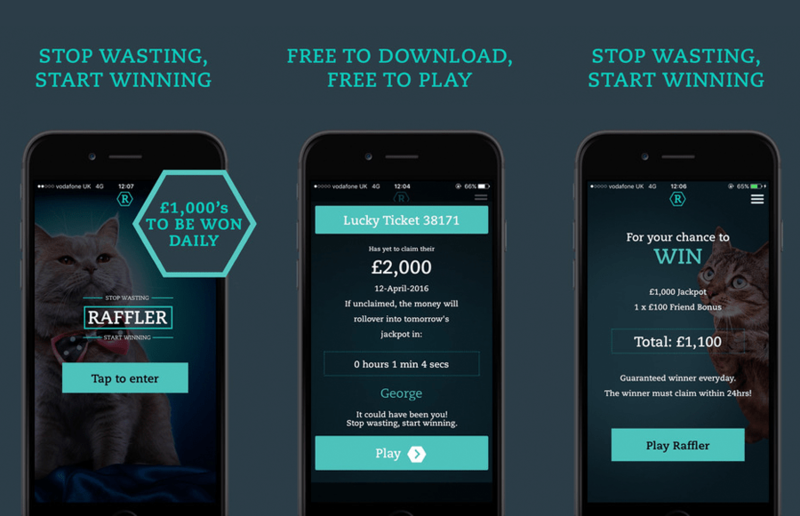 Introducing Raffler, ‘The app that gives away at least £1,000 every single day FOR FREE’. You might think there’s got to be something dodgy about an app that gives away thousands of pounds but it’s very simple. All you have to do is download the app, sign up, and watch two short adverts to be entered into the daily draw! It couldn’t be easier to be in with a chance. Plus if you use the referral code LDLZCM an additional £100 is added to your daily potential win and then you can refer your friends too for more prizes! Take a look at this guy who won twice in one week… (This level of luck is not guaranteed). But if that’s not enough to convince you, their cute kitty mascot will give you special deals for a range of brands even if you don’t win! Get your ASOS Valentine's Day Fix! Love Island stars Chris and Kem to teach Londoners how to take perfect selfie in Holborn! Only grumpy on a week day. Follow on Instagram at https://t.co/aWfj3WNidL. London is about to get its own emoji… and you can help pick it!